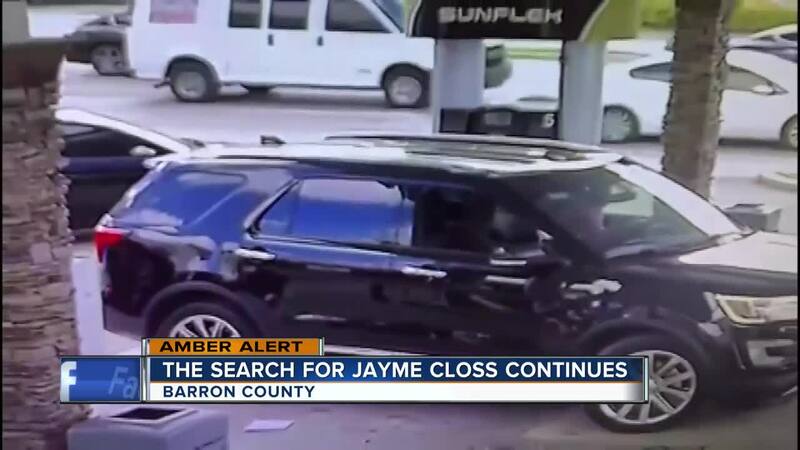 Barron Police are investigating a tip on missing teen Jayme Closs. 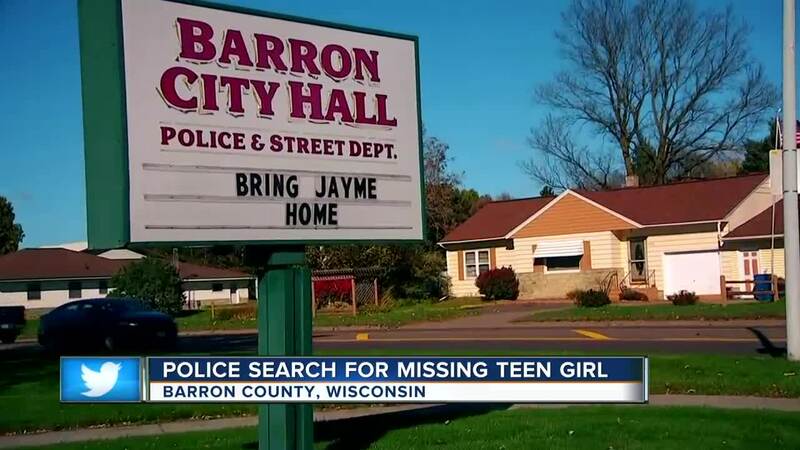 CNN has obtained the dispatch log for the 911 call placed from the home of missing teen Jayme Closs’s parents, James Closs, 56, and Denise Closs, 46, in Barron County, Wisconsin. During a 911 call shortly before 1 a.m. Monday, the dispatcher heard a disturbance in the background. No one spoke directly to the dispatcher. The log indicates the call was made from Denise Closs’s cell phone. The family dog was still at the house when sheriff’s deputies arrived and has since been taken to a family members house, the log states. Deputies arrived at the home less than four minutes after the call was placed, no one was in sight and no vehicles were in the immediate area, the sheriff said. [118 - 10/15/2018 01:04:17] 325 ADVISED ONE MALE DOWN, MULTIPLE ROUNDS SPENT. REQUESTED THAT ADMIN BE NOTIFIED. [115 - 10/15/2018 01:05:19] 317 REQUESTED ERT BE PAGED OUT. ADVISED THE DOOR HAS BEEN KICKED IN. ADVISED THAT THE MALE WHO IS DOWN HAD ANSWERED THE DOOR. UNKNOWN IF ANYONE IS MISSING. [115 - 10/15/2018 01:07:23] 317 ADVISED THEY WOULD BE CLEARING THE HOUSE. LAW 1 CLEARED. [115 - 10/15/2018 01:08:10] 317 ADVISED TWO SUBJECTS DOWN. [115 - 10/15/2018 01:11:02] 317 REQUESTED THAT 501 RESPOND TO THE SCENE FOR TWO SUBJECTS DOWN, UNRESPONSIVE. [115 - 10/15/2018 01:19:27] 301 REQUESTED THAT 100 RESPOND WITH THE COMMAND POST. 301 REQUESTED 303 HAVE ONE SEARCH TEAM READY TO GO. [115 - 10/15/2018 01:32:00] 303 REQUESTED THAT 301 GRAB THE DRONE. [115 - 10/15/2018 02:00:59] 325 ADVISED CHEYENNE AND JLR WERE ASKED TO LEAVE AS THEY WERE DRIVING BY MULTIPLE TIMES. [115 - 10/15/2018 03:05:47] STATE PATROL ADVISED THAT DEREK HANSON CAR 64 AND KYLE DEVRIES CAR 52 WOULD BE RESPONDING. [115 - 10/15/2018 03:18:09] 328 AND 366 ARE ENROUTE TO 504 24 1/2AVE. [118 - 10/15/2018 03:27:52] ENTERED JLC AS A MISSING JUVENILE. [115 - 10/15/2018 03:57:47] 321 REQUESTED TO CONTACT AN FBI FIELD AGENT FROM EC. [118 - 10/15/2018 04:02:09] SENT A TTY TO EAU CLAIRE COUNTY REQUESTING THEIR ASSISTANCE WITH 911 CALL CLEAN. [115 - 10/15/2018 04:19:18] 301 ADVISED DEPUTIES WOULD BE 10-76 TO 1341 17TH ST.
[115 - 10/15/2018 04:25:57] MADE CONTACT WITH SECURITY AT ST. CROIX CASINO AND REQUESTED THAT THEY MAKE CONTACT WITH 303. [115 - 10/15/2018 04:32:22] 328 ADVISED UNITS CLEAR FROM THAT RESIDENCE. [115 - 10/15/2018 05:30:19] 366 ADVISED OUT AT JENNIE-O TURKEY STORE. [106 - 10/15/2018 08:47:18] VICTIM'S BROTHER STEVEN CALLED, WILL HAVE 301 CONTACT HIM. [108 - 10/15/2018 09:40:20] 321 ADVISED 315 WILL HAVE SCENE CONTROL AND ALL OTHER UNITS WILL BE CLEAR SHORTLY. [117 - 10/15/2018 12:13:39] FAXED PRESS RELEASE AND INFORMATION TO ONTONAGON COUNTY SHERIFF'S DEPT, ADV 308 WOULD BE CONTACT PERSON FOR BNSO. [108 - 10/15/2018 12:15:13] 309 HAS A DOG FROM THE RESIDENCE AND IS ENROUTE TO THE OFFICE..